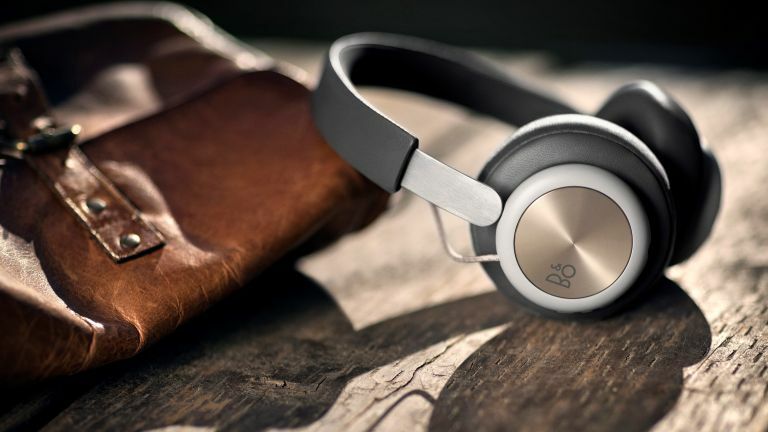 B&O Play has debuted a cheaper £249/$299/EUR 299 version of its premium Beoplay wireless headphone line-up. It uses slightly different materials than the high end H8 and H9 for example, but you'd hardly notice - to the untrained eye it still looks very like a premium headphone. Expensive materials have been used where it matters - the ear cushions (providing passive noise isolation) are lambskin, as is the headband. The ear cup covering is anodised aluminum. The battery life lasts up to 19 hours on a 2.5 hour charge - we're starting to see some higher battery life capacities than that, but realistically you'll only be caught short if you fly to the other side of the world. Charging is via micro USB, while there's a 3.5mm jack should you want to go wired. There are three buttons, one to answer/end calls or play/pause. The other two buttons enable both volume control and track skip - we'll reserve judgement until we've tried them properly, but that sounds a bit of a confusing mix to us. The Beoplay H4s are available in Bang & Olufsen stores, on and online and elsewhere from today. Last month, B&O Play also announced the Beoplay M5, with stacks of performance in a very attractive £529/$599 package. Beoplay M5 can be fed music through every method imaginable - Bluetooth, Chromecast, AirPlay, Spotify Connect and the Beomusic app are all supported.